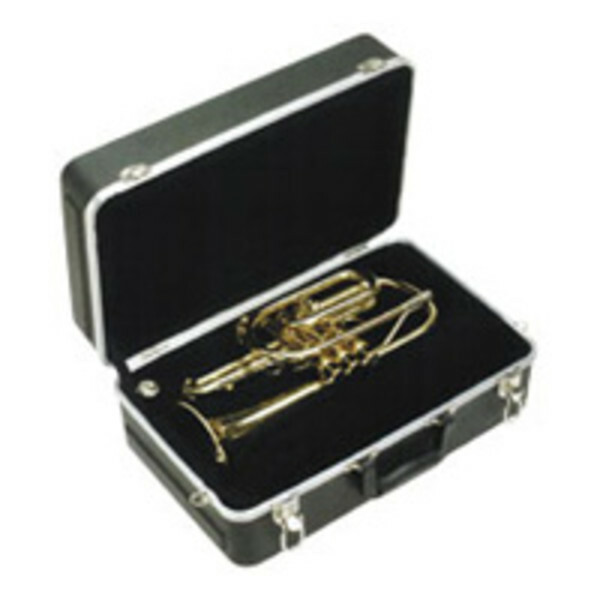 The SKB Cornet case provides excellent protection at a remarkable price. Fits most American horns with and without Shepherd's Crook. Introducing the exciting new line of Trumpet, Sax, Trombone, French Horn, and Sousaphone cases. The instrument experts at SKB have painstakingly addressed every issue that is important to musicians and band directors: Fit, portability, durability, and style. Molded-in bumpers on rectangular cases add structural strength and protect valances at key impact points. Innovative bumper designs create stand-up stability while protecting valance system. Perfect fit valances with D-Ring for strap.